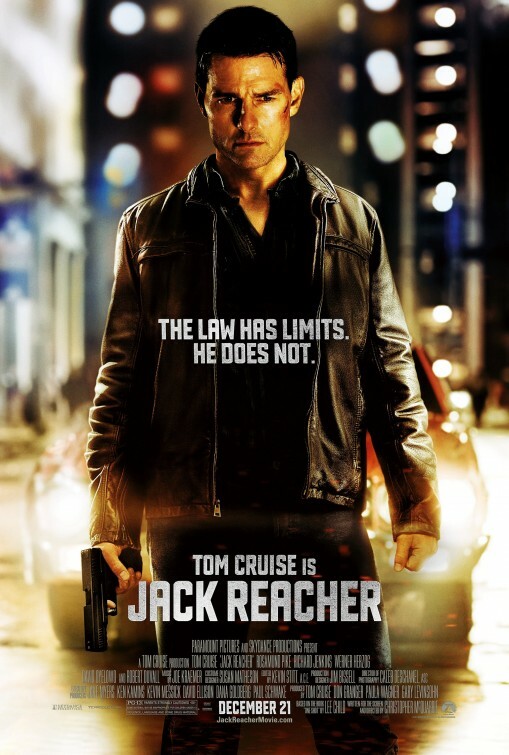 In the big screen adaptation of Lee Child's literary character 'Jack Reacher' and 2005 novel One Shot, Tom Cruise plays the titular ex-U.S. Army Military Police officer turned loner, wandering the country without any belongings or personal ties and dispatching his own brand of justice. 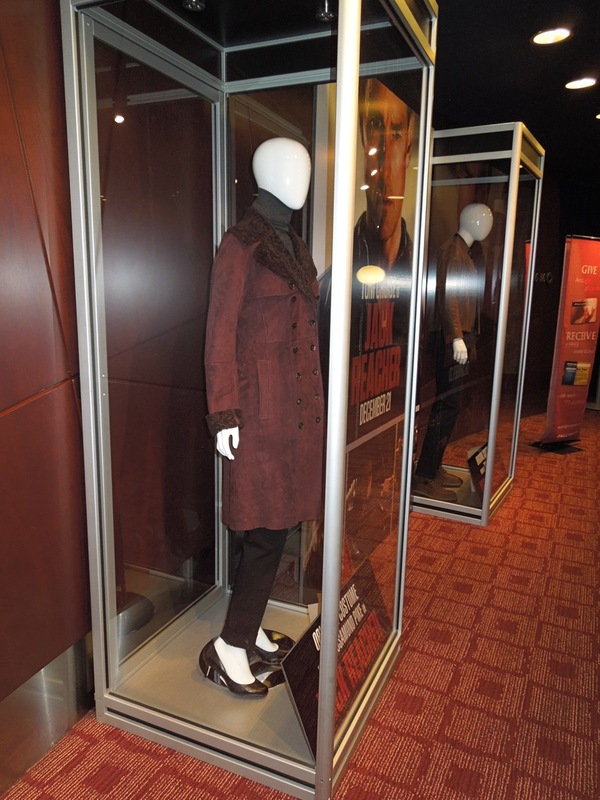 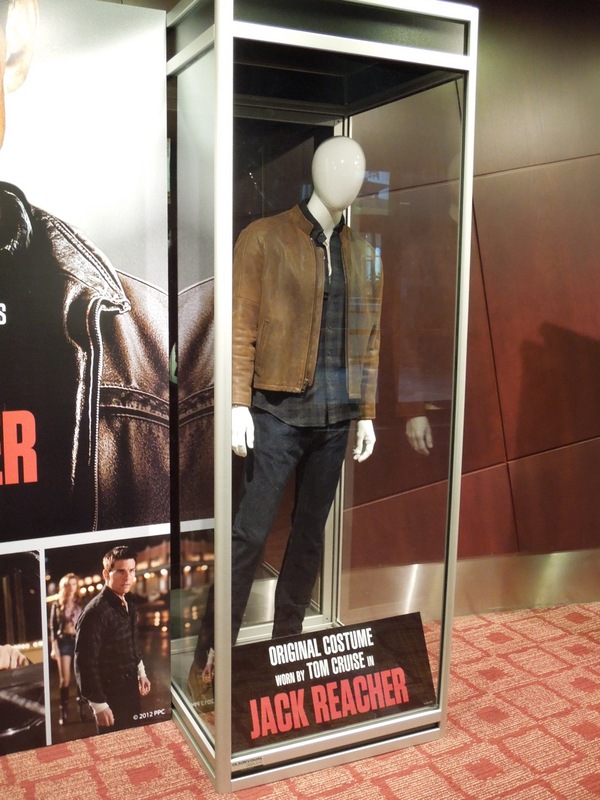 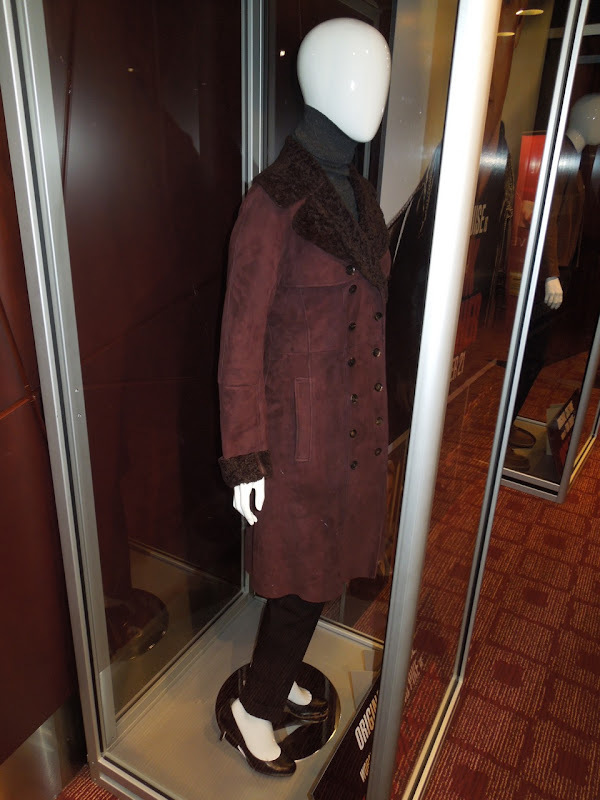 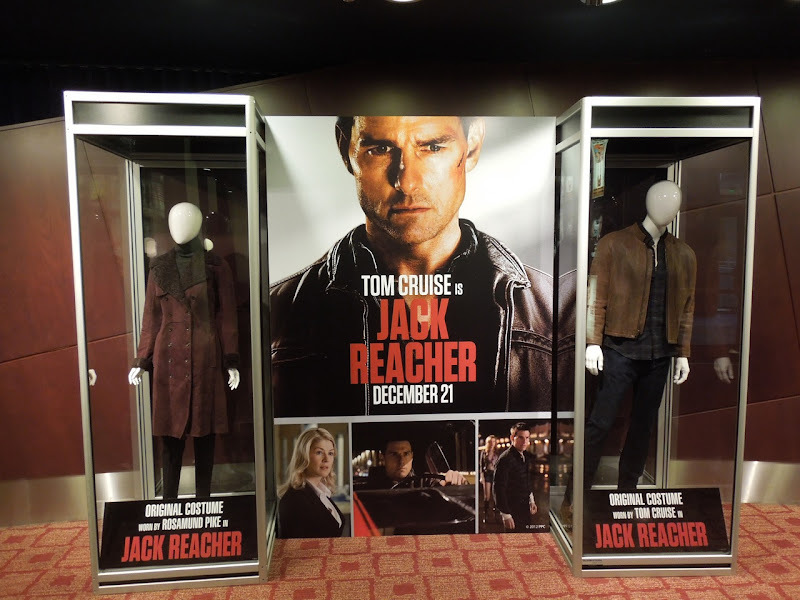 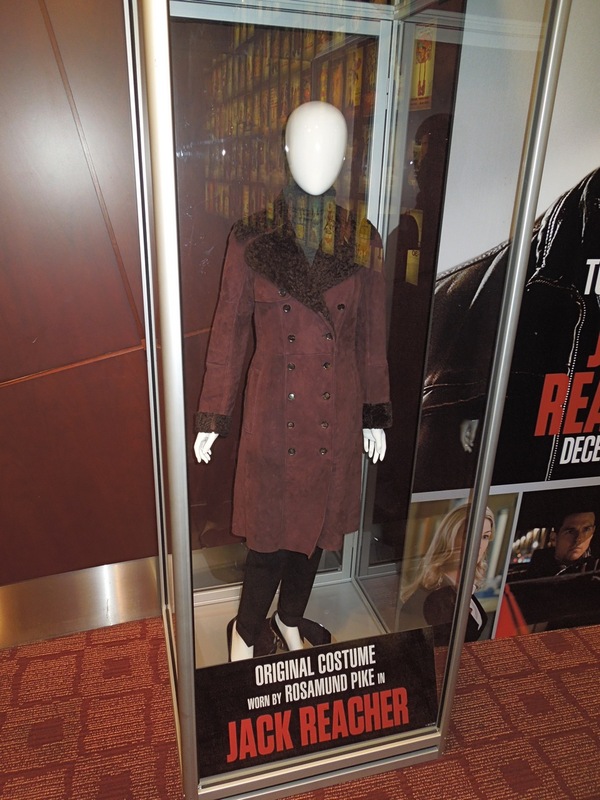 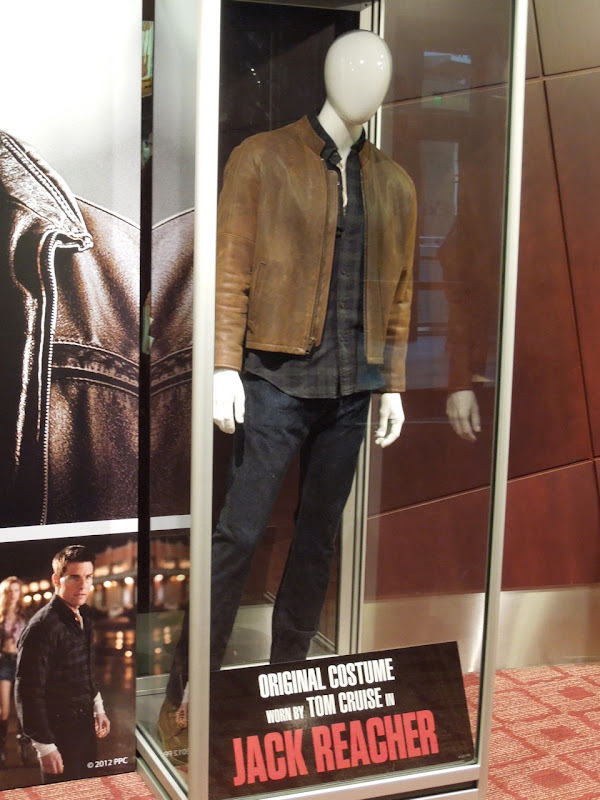 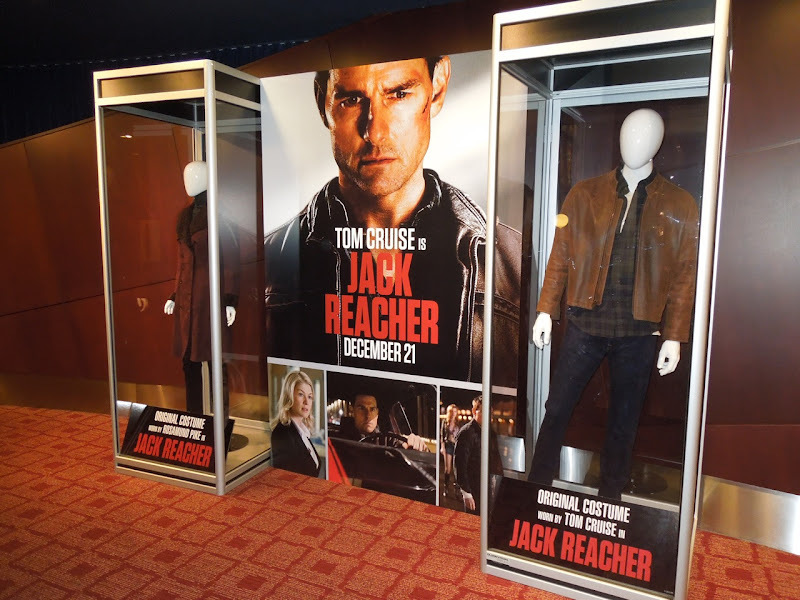 This movie exhibit featuring original costumes designed by Susan Matheson and worn by Rosamund Pike and Tom Cruise in the film (it's amazing what you can find at the Goodwill store) was photographed on display at ArcLight Sherman Oaks cinema on December 17, 2012. 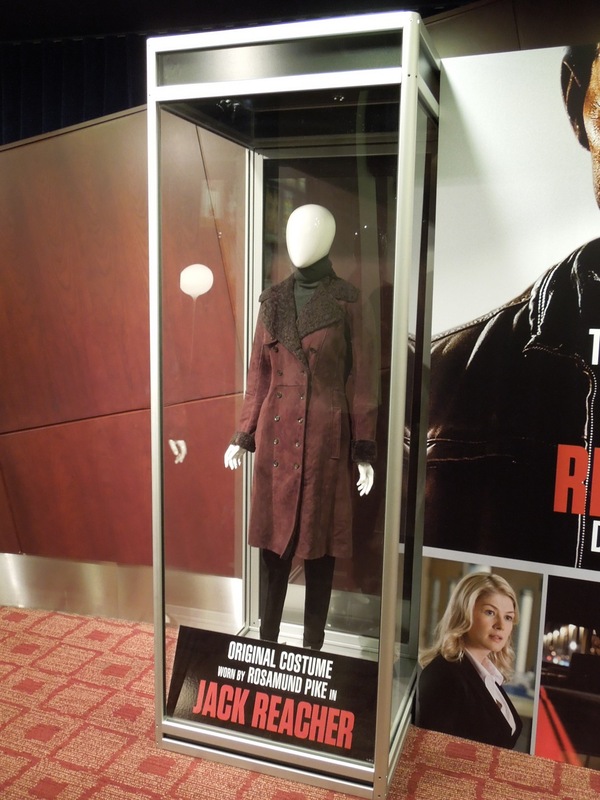 In the movie Rosamund Pike plays 'Helen Rodin', an idealistic defense attorney, defending a retired Army sniper accused of gunning down five people in public. 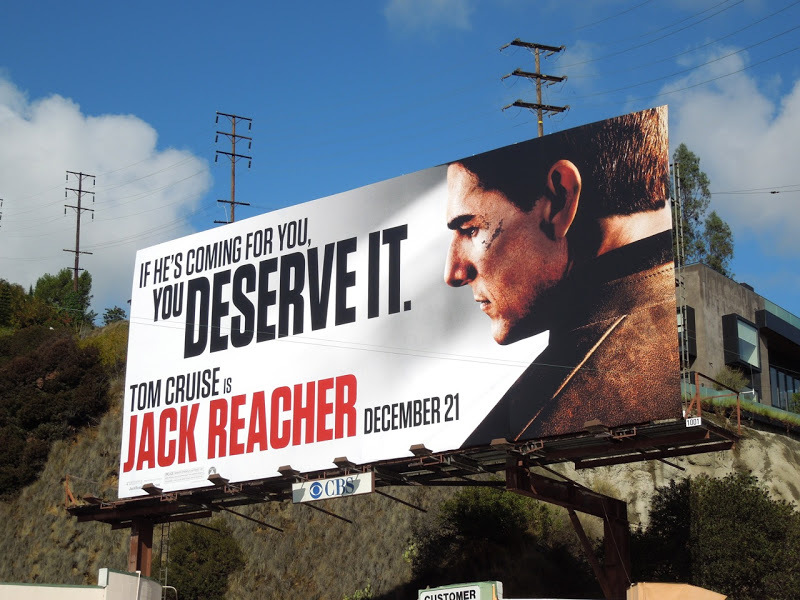 Her path crosses Jack Reacher's when he's called in by her client to investigate the conspiracy that has framed him. 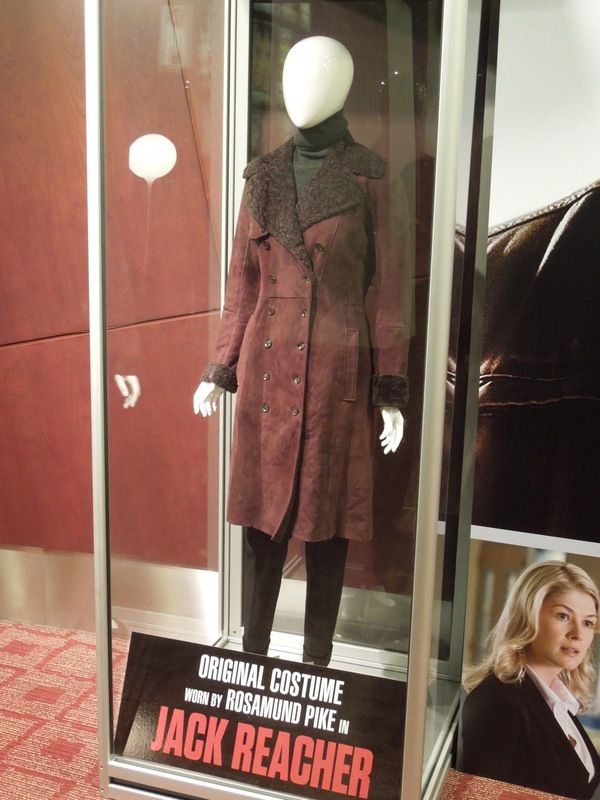 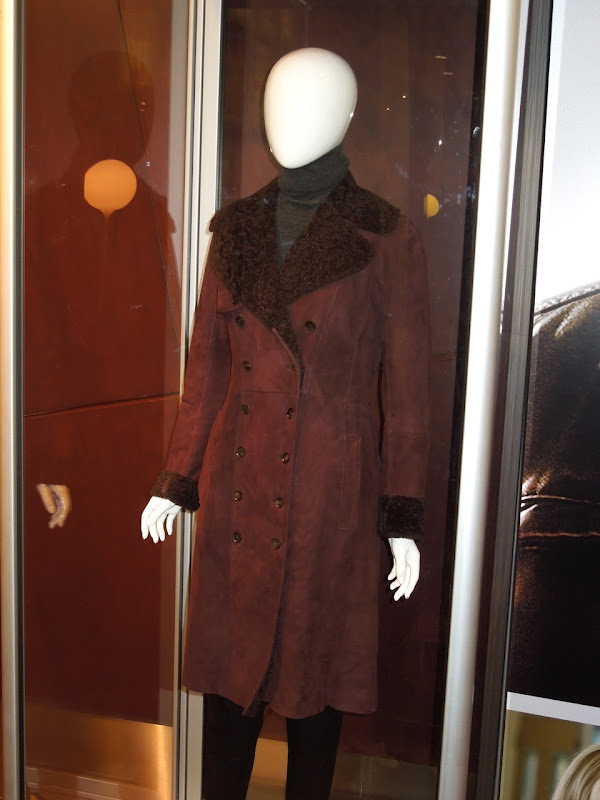 If you're a fan of the British actress be sure to take a look at Rosamund Pike's costume from An Education on display too. 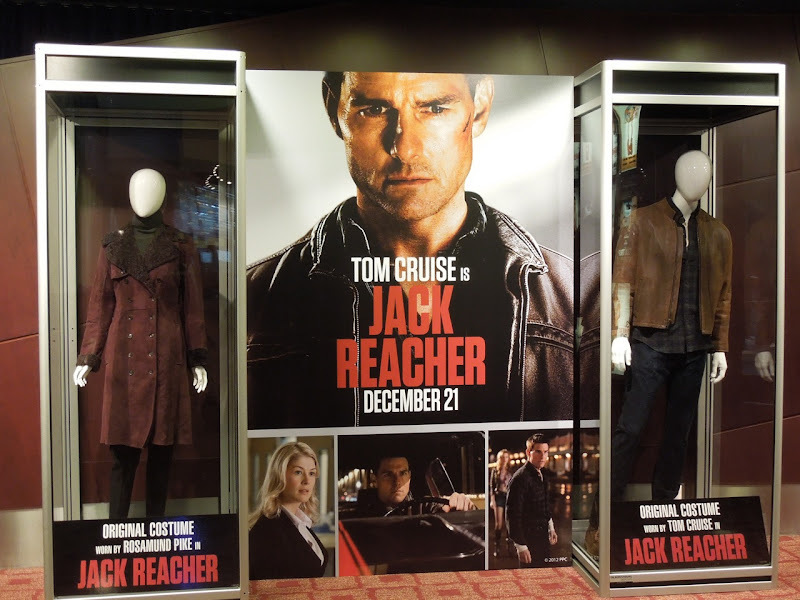 The casting of Tom Cruise caused outrage with some fans of the character, as in the novels Jack Reacher is a rugged 6-foot-5, whilst the Hollywood star is only 5-foot-7. 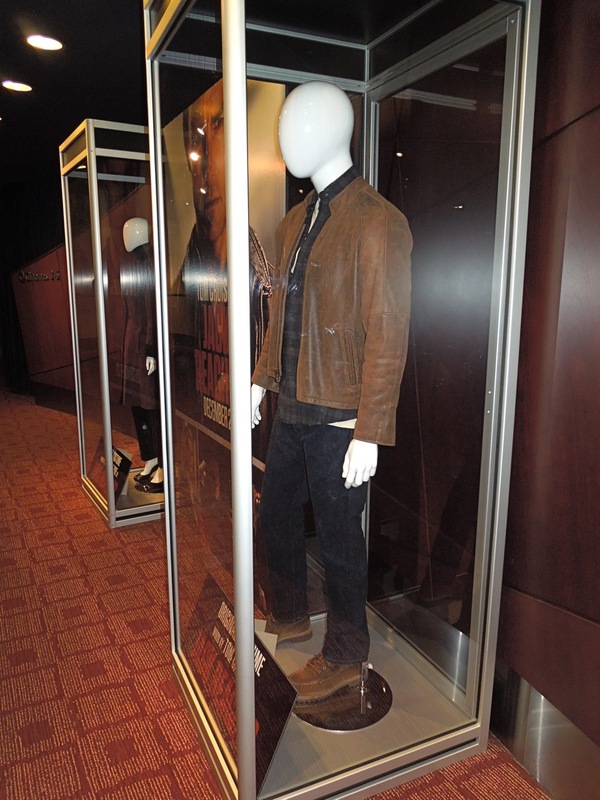 Only time and the box office will tell if he can fill those tough guy shoes adequately. 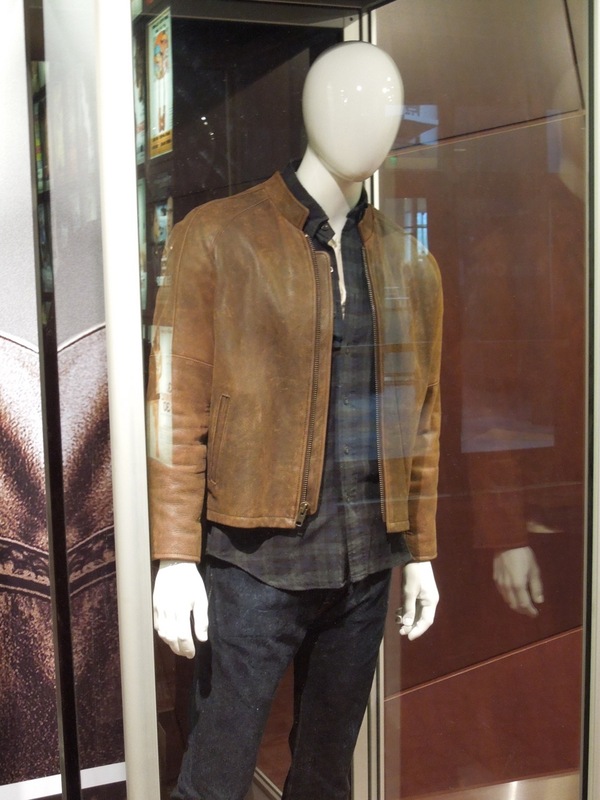 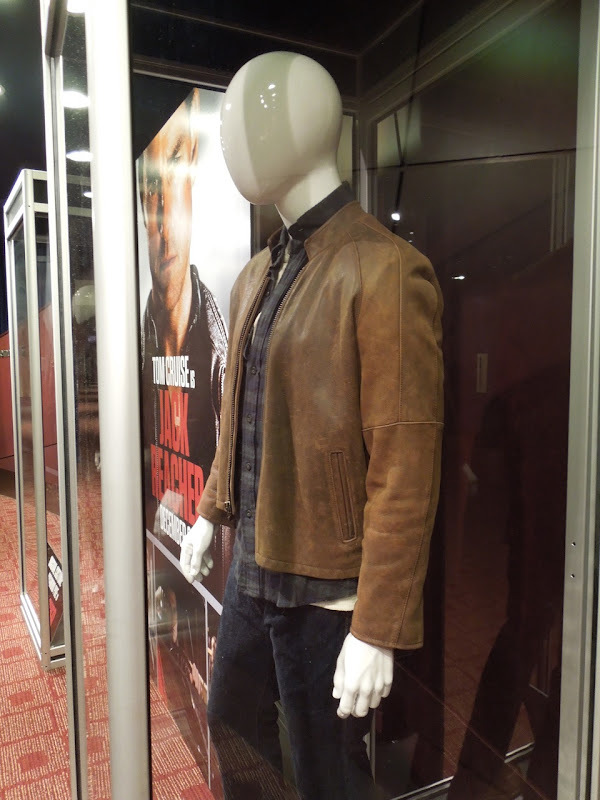 If you're a fan of Tom Cruise, be sure to check out these original costumes from Mission: Impossible Ghost Protocol and his Stacee Jaxx costume from the Rock of Ages movie. 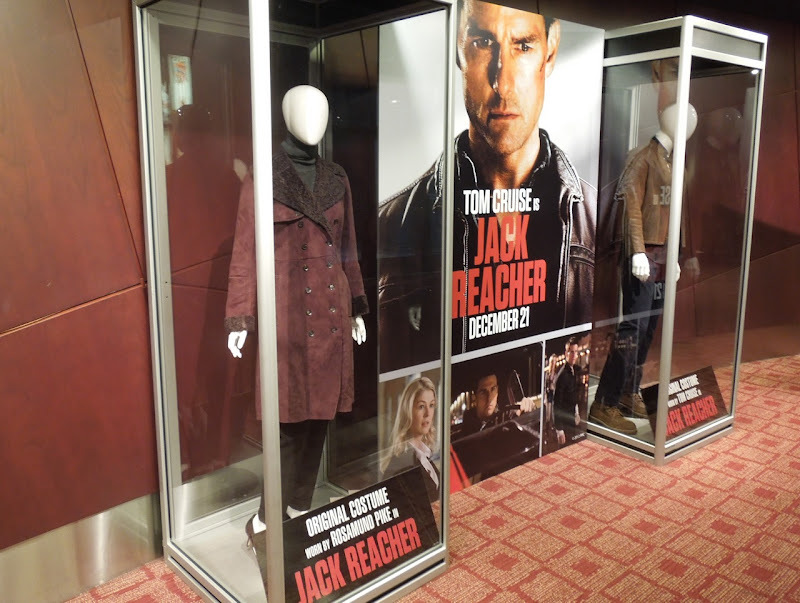 Plus also check out the 1970 Chevrolet Chevelle SS movie car from Jack Reacher on display. 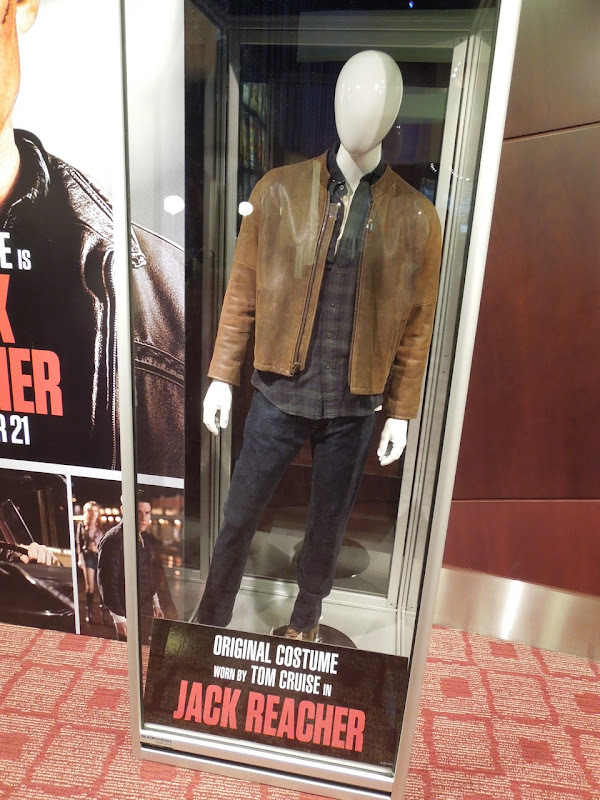 can anyone also let us know the exact brand names of the costumes or are they custom made for Tom cruise?